Hi, Ignition switch was acting up on my Boxster 98 so I replaced it. Turned the key on, all the lights lit but the engine did not turn. I read that there is a fuse that needs to be tested (will do that next). If that fails, will test voltage going to the starter. Are these good troubleshooting steps or should I start somewhere else? Double check your work, then try another switch. Make sure you bought the correct switch. There was an update at one point and if the whole lock assembly was replaced on your car, you may need the newer switch. Happened to me on a 2000S. Last edited by Sergio; 02-17-2019 at 11:09 AM. Thank you dghii. You are right. Ignition switches are completely different. They are not interchangeable. Pull the start lock relay out, then insert a jumper wire between pins 30 and 87. Turn the key to start. If it cranks, the issue is likely with the DME/security lockout. If it still won't crank, the issue is likely the starter/power. Thank you particlewave, where is the start lock relay out located? (driver's side trunk?) How do I identify it (#7)? If jumping those terminals does start the engine, can I shut it off by turning the ignition key off or do I have to remove the jumper? Is there any way to measure the voltage at the starter from underneath the engine? Looks like I need to remove many parts to access it from the top. I doubt it is the starter as I never had any problems starting it before...but electrically, anything can happen. Is there any way to directly test the DME/security lockout? Sorry for all the questions at once, but I think this is the right path. Thanks again! Last edited by Sergio; 02-18-2019 at 04:11 PM. Jumping the relay will tell a lot. If it cranks, you'll need to do some testing to figure out what is locking it out. Thank you particlewave, where is the start lock relay out located? (driver's side trunk?) How do I identify it (#7)? If jumping those terminals does start the engine, can I shut it off by turning the ignition key off or do I have to remove the jumper? Yes, just turn the key off. Is there any way to measure the voltage at the starter from underneath the engine?Not really. Access is much easier from the top. Looks like I need to remove many parts to access it from the top. I doubt it is the starter as I never had any problems starting it before...but electrically, anything can happen. Is there any way to directly test the DME/security lockout? The jumper test will tell a lot. If there is an issue with the DME, I can help with some routine tests from there. I'm sure your issue is going to turn out to be something simple, though (probably related to the work you did). Sorry for all the questions at once, but I think this is the right path. Thanks again! I had a similar problem. Turned out to be the positive "ground" had corrosion. It is located in the engine compartment inside a small plastic rectangular box at the top of the engine near the fire wall. Pop open the box and check the connection for rust on a loose nut. Thank you Turbodad. Battery was tested and fully charged up. Posts were clean. Car started when jumped. What should I do now? Thank you. Btw, what system did I just bypass by jumping 30-87? Last edited by Sergio; 02-23-2019 at 01:01 PM. That's called the "start lock relay". When all conditions are met, the relay allows the car to start. The main things you're bypassing are the clutch switch and transponder pickup coil, IIRC. I'll get out the shop manuals this weekend and delve deeper, but you can start by looking at those two things. The clutch switch is easy enough to check with a DVM. 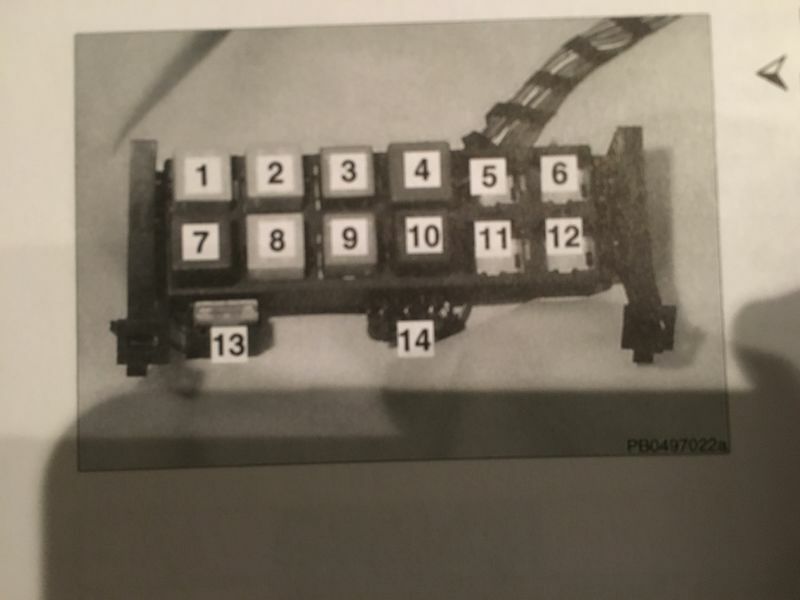 The transponder coil is around the ignition and since you were in that area, it might be the more likely culprit (wires got unplugged, pinched or the coil moved and now is not communicating with the pill in the key head). Thank you Particlewave...I found out that the start lock relay was jumped and I accidentally opened that wire. Put the jumper back and it run. The ignition switch worked well and now starts very smoothly. Thank you. Now to the next challenges! Last edited by Sergio; 02-25-2019 at 10:16 AM. This situation left me wondering if there are any consequences of not having to push the clutch pedal in order to get the car started. In other words, should I fix this problem right by removing the jumper cable and using the switch the way it is supposed to be used...or should I leave it like that? Last edited by Sergio; 02-25-2019 at 10:18 AM.